Music can be an invaluable addition to the classroom. 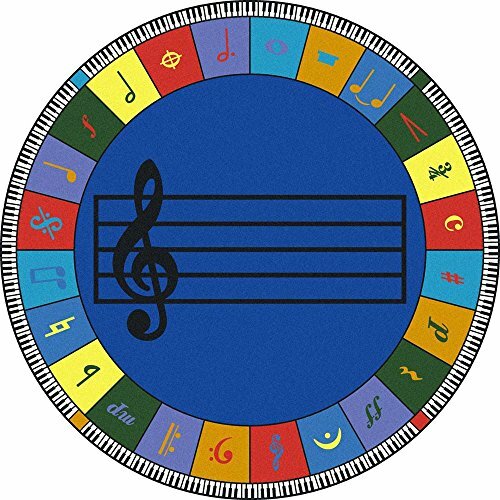 Children can practice math skills, simple and complex rhythms, recognition of basic musical symbols, and note matching. Assist students in developing a lifelong appreciation for music with this rug. Elementary and preschool versions available. Joy Carpets Kid Essentials Geography & Environment Round Cosmic Wonders Rug, Black, 5'4"
Little Love by NoJo Shag Nursery Rug, Solid Grey, 3'9" x 5'9"